This Goa Vol. 61 Compilation is again a very special release indeed. This double CD release is compiled by head label manager of Y.S.E. Recordings DJ BIM and Y.S.E Label DJ EL Fabio. Together they like to take you with Goa Vol. 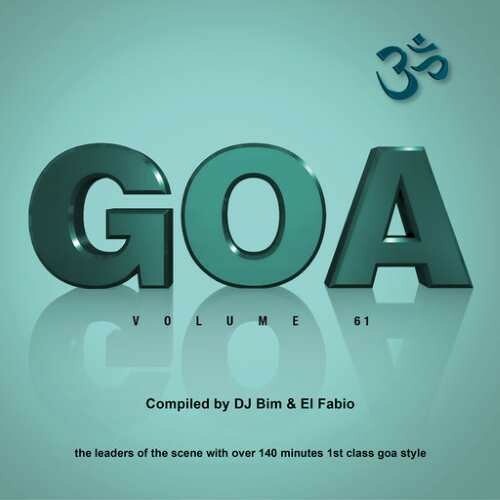 61 into a real deep journey of magic and high Quality Progressive and outstanding Psychedelic Trance taken from today's wide spread range of Goa Trance. Featuring Artists like Ritmo, Rocky, Ilai, Drukverdeler and DJ Bim, Yestermorrow, Zyce and Sad Paradise, Skyfall and Kin, Headroom, Side Effects and Sonic Sense, Freaked Frequency, Tree Circuit, Kri Samadhi, Sunrazers, Daniel Lesden. This CD is a perfect journey throughout our scene, including unreleased tracks from Producers like DJ Exanimo, Silent Sphere, No Comment vs Bypass, Atma. We like to welcome you to this 387th release of Y.S.E.